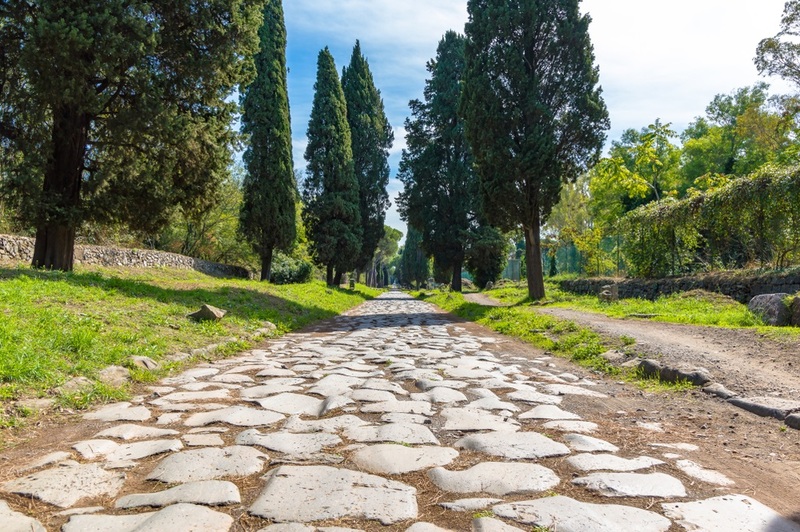 Overlooking the splendid Appia Antica Park, the roof on the fourth floor is the ideal place to start the day with a rich breakfast. La varietà di piante e fiori e l’illuminazione notturna che lo circondano creano un’atmosfera magica per trascorrere una piacevole serata sotto il cielo stellato di Roma. The terrace, in fact, closed by a motorized pergotenda, but completely openable, is a perfect location for organizing events, parties, aperitifs, private dinners and meetings. It is also equipped with heating for the winter and air conditioning for the summer. 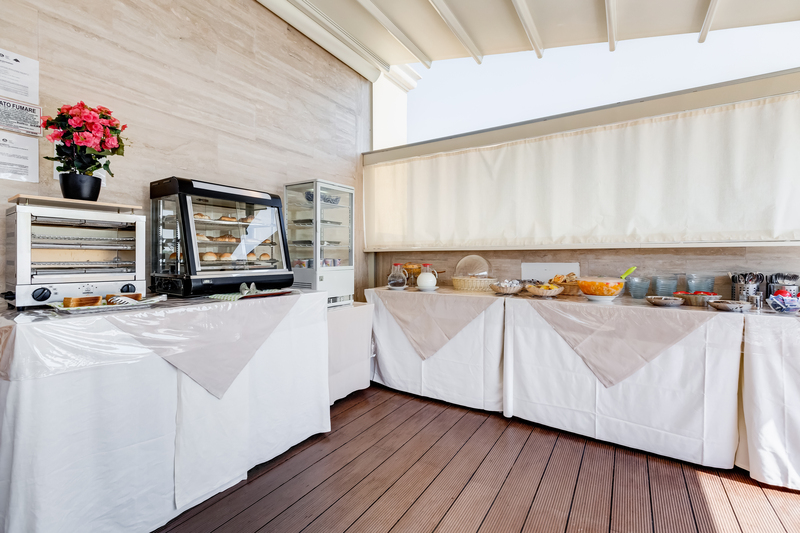 The breakfast served on the wonderful terrace, is characterized by a rich continental buffet that includes both sweet and savoury products. bicicletta e per praticare sport con l’acquedotto romano come sfondo.